Welcome to Immanuel Lutheral Church Sumter! Fun - Food - Fellowship! Stand By Me (SBM) is a program to minister to incarcerated men and women to make preparations for re-entry into the community prior to release. Immanuel Celebrates 6 Year Anniversary on March 13 2017! Immanuel Lutheran Church is a Mission Church of the North American Lutheran Church body. We are co-located at St. John United Methodist Church, 140 Poinsett Drive, Sumter, SC. We welcome all baptized Christians to the table for Holy Communion. You are invited to visit and study the Bible with us. 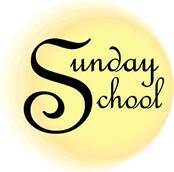 Join us for Sunday School each week at 10:30AM. We offer classes for preschool, elementary, high school and adult.Come study the Bible with us. Supporting children and youth in their faith journeys. We offer an Adult Bible Study the first and fourth Wednesday evening of each month at 7pm. Our Prayer Ministry meets Saturday morning at 9am in the Chapel. Prayer request cards are available in the pews and can be placed in the offering plate. 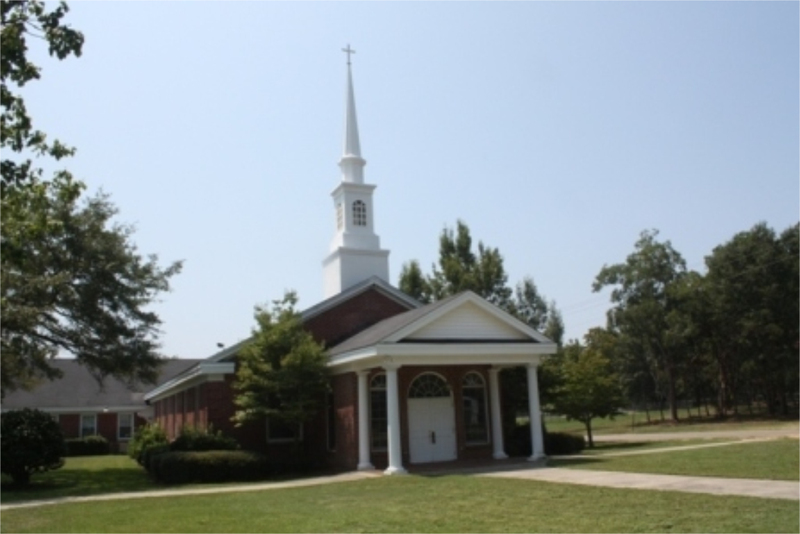 Immanuel Lutheran Church is a newly formed Lutheran Church in Sumter, SC. 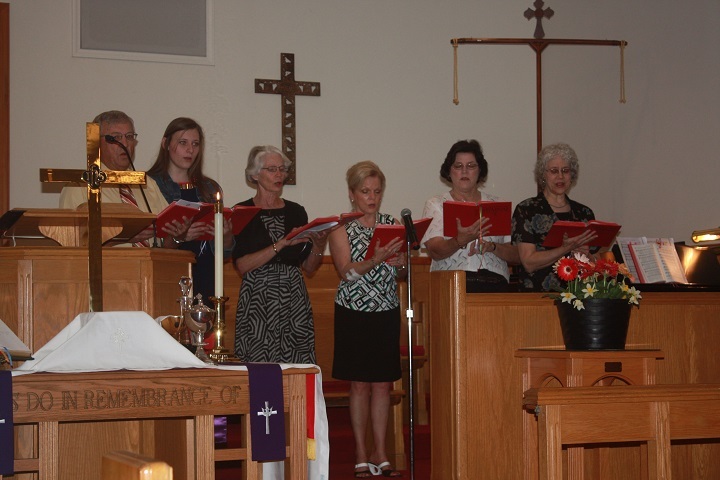 We celebrated our first worship service on Sunday March 13, 2011. 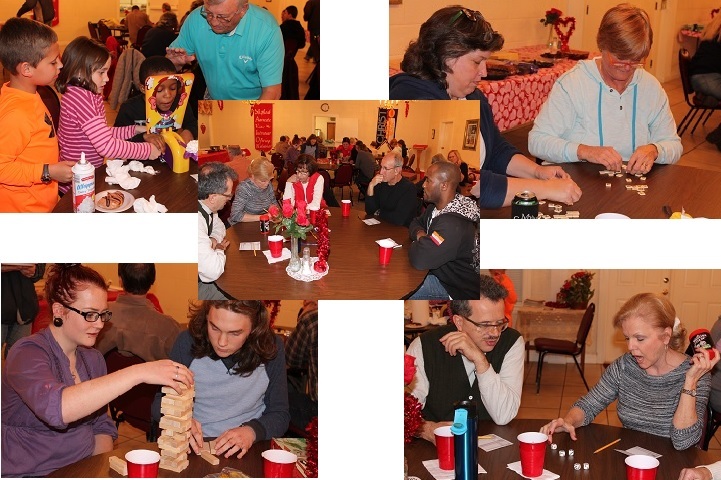 On Sunday March 20th, organizing members adopted the name “Immanuel Lutheran Church.” It means “God with us”. Immanuel Lutheran started as an Independent Lutheran denomination. 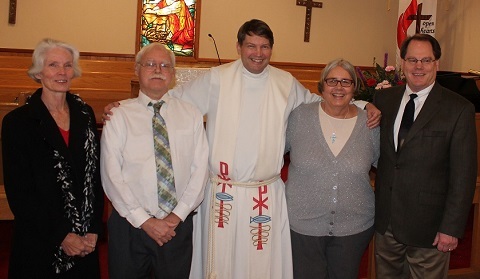 The organizing members spent several months studying four different Lutheran denominations including Lutheran Church Missouri Synod (LCMS), Lutheran Congregations in Mission For Christ (LCMC), North American Lutheran Church (NALC) and the Wisconsin Evangelical Lutheran Synod (WELS). 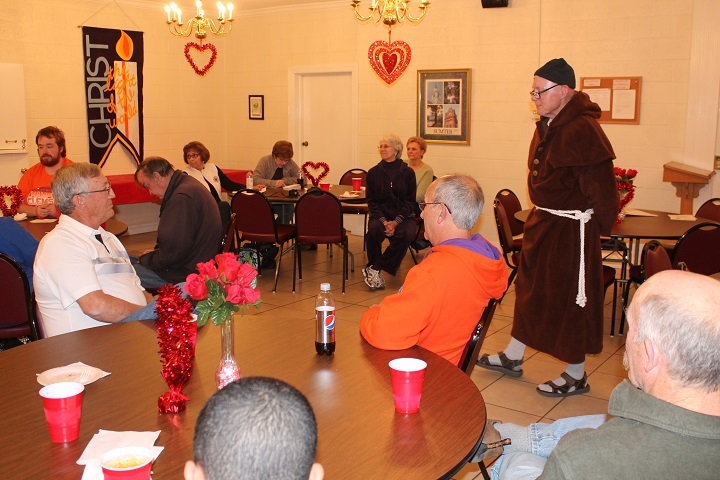 During this study period, Immanuel Lutheran was served by Pastors from North and South Carolina representing the four different Lutheran denominations. 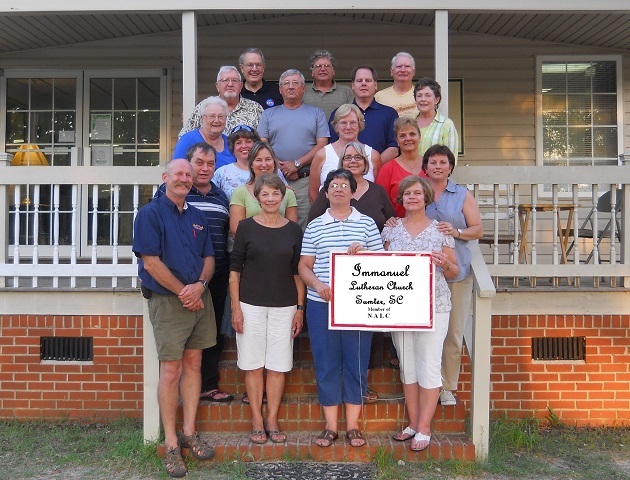 On July 27, 2011 at a congregational meeting a vote was held and by a two thirds majority Immanuel Lutheran became affiliated with the NALC denomination. Immanuel Lutheran Church is committed to the scriptures as God’s Word without error or contradiction. We proclaim the Glory of God by growing in love for one another and sharing the good news of Jesus Christ with all people. Pastor Gary Blobaum Pastor Gary Blobaum and his wife Amy come to Immanuel from Oregon, IL. Pastor Blobaum graduated from Concordia University, River Forest, Illinois in 1975 with a Bachelor of Arts in Education and from Christ Seminary-Seminex with Masters of Divinity in 1979. He previously served parishes in Millville and Hollsopple, Pennsylvania; Marion, Iowa; and Oregon, Illinois. He also served as Hospice Chaplain in Illinois. 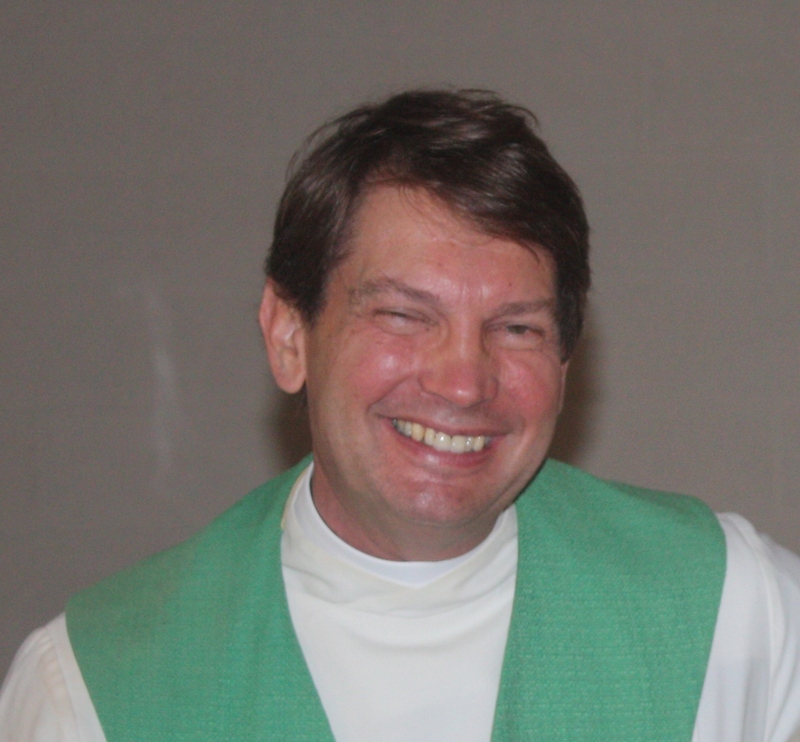 Pastor Blobaum is a member of the Society of Holy Trinity, an order of Lutheran pastors dedicated to the renewal of the Lutheran church and ministry. We praise God and welcome Pastor Gary and Amy Blobaum to Sumter! Immanuel Lutheran is made up of families who believe the Bible is the true word of God. 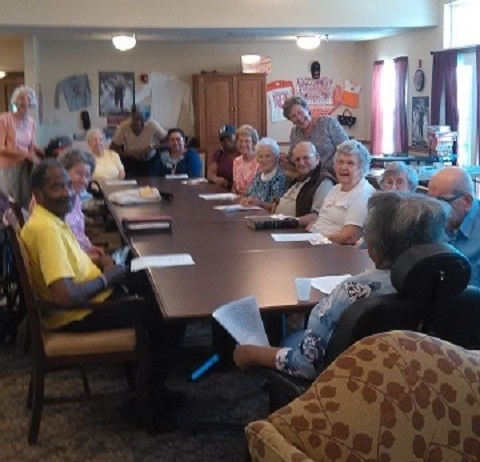 On Sundays and Wednesdays we gather for worship, study, fellowship, mutual support and service. 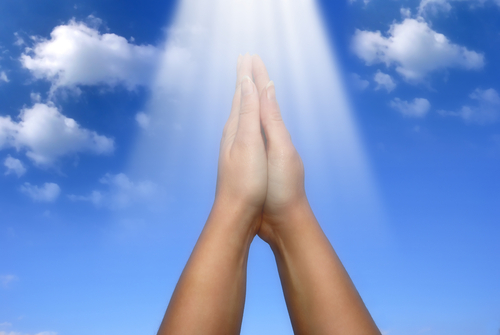 We do this to say "thank you" to God for all he has done and continues to do in our lives. And also because we want to grow in faith toward God and in love toward all. We gather to celebrate God's love and share it with others. We invite you to join us and meet other families in your area who share the same Christian beliefs as you do. We believe that there is a place in God's family for you. 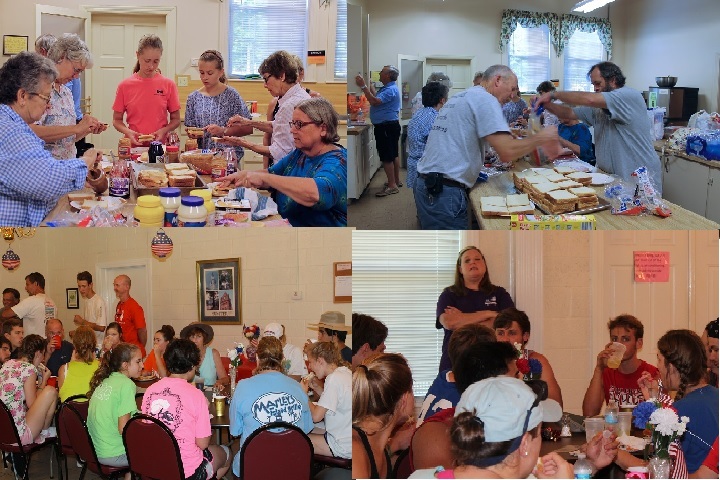 Immanuel offers several opportunities for fellowship. Members of Immanuel currently minister to inmates at the Sumter-Lee County Detention Center. 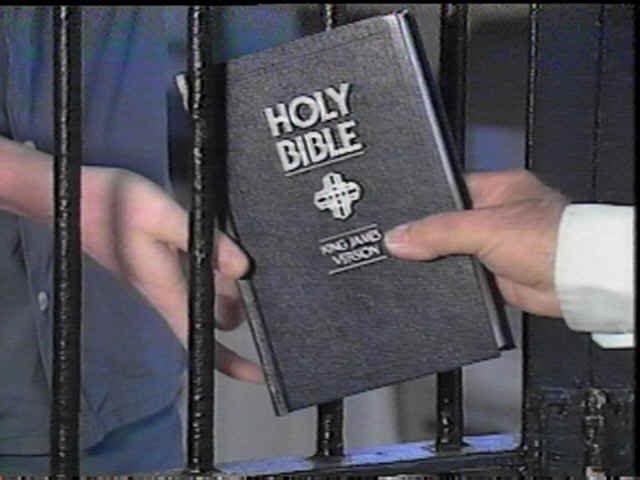 A ministry team from Immanuel visits with male inmates every Sunday afternoon while the ladies ministry group visits female inmates when there is a fifth Sunday in the month. Immanuel also is involved in a ministry program to link with adult offenders who are re-entering the Sumter Community. Immanuel offers a free Christian Library to friends and neighbors in the surrounding church neighborhood. There are books for all ages to be shared with the community. Books are free and are all of Christian content. They can be taken, shared, borrowed or traded. 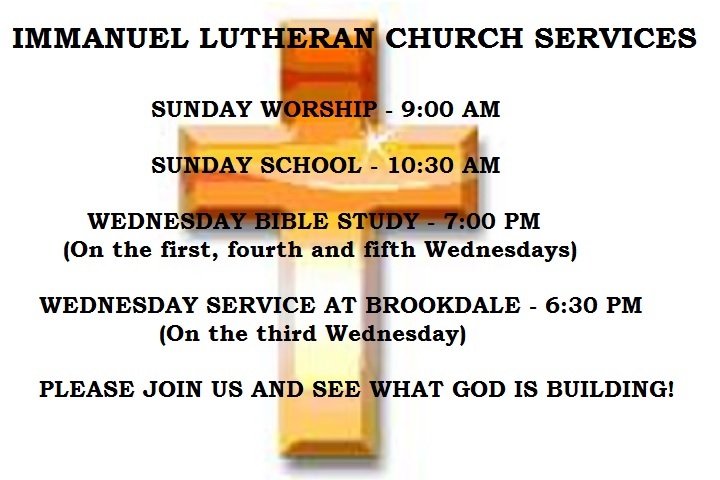 Immanuel Lutheran Church is a Mission Church of the North American Lutheran Church body. We are co-located at St. John United Methodist Church, 140 Poinsett Drive, Sumter, SC.